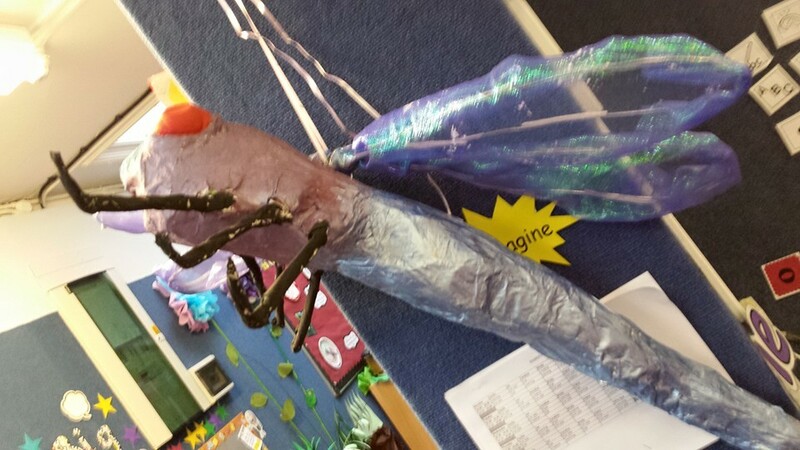 Our topic for one of the Summer terms was minibeasts….. now I still love basing learning around topics, especially when you can thread through children’s interests without too much phaffing. So minibeasts again…. As I have been teaching for a good few years, this topic seems to come around in cycles, even last year we linked one of our topics around Superheros, minibeasts featured prominently through texts such as “Super Worm” which involved children digging for worms outside and creating their own worm farm on my desk, just minus the container! When I start a topic off, I like to create a hook to create the magic and mystery around the topic, usually the hooks are very open which allows the children to develop their learning in ways which interests them. So back to the hook, my team and I were discussing various options, a letter in the post, a puzzle piece to uncover the truth, challenges set by our resident wizard… still as a team we were not convinced, one of my LSA’s is amazing at making paper mache, in the past she has made a huge T-Rex head that we used as a writing prompt for the children to come up with adjectives for their writing, so she suggested making some giant minibeasts to hang around the corridor and learning rooms, these would hopefully give the children the same opportunities to talk and describe the minibeasts in terms of colour or appearance that the T-Rex had given. Giant minibeasts – we asked ourselves the question “how did they become gigantic?” lots of interesting discussions came from that question, “maybe a machine blew them up like in the movie Honey I Blew up the kids?” Linking that idea to our prior knowledge that the children are always active in taking apart different pieces of machinery or computers with various screw drivers (don’t worry the machinery/computers are broken first!) 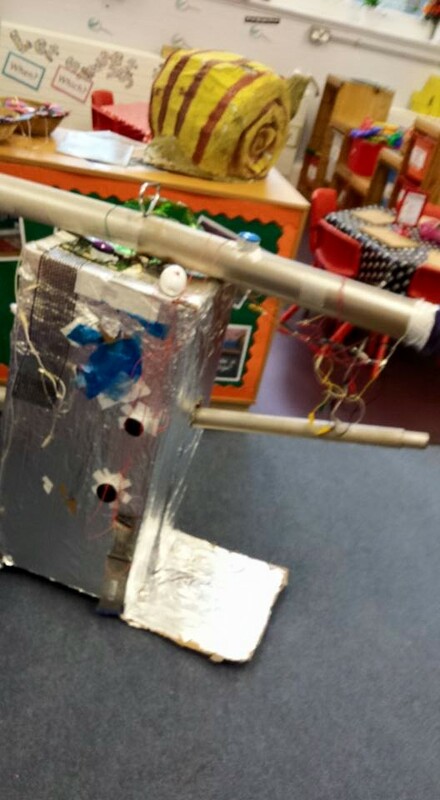 we thought we were on to a winner… it took time and incredible team work to create the machine, minibeast lab (where are accident took place) and also the different minibeasts! 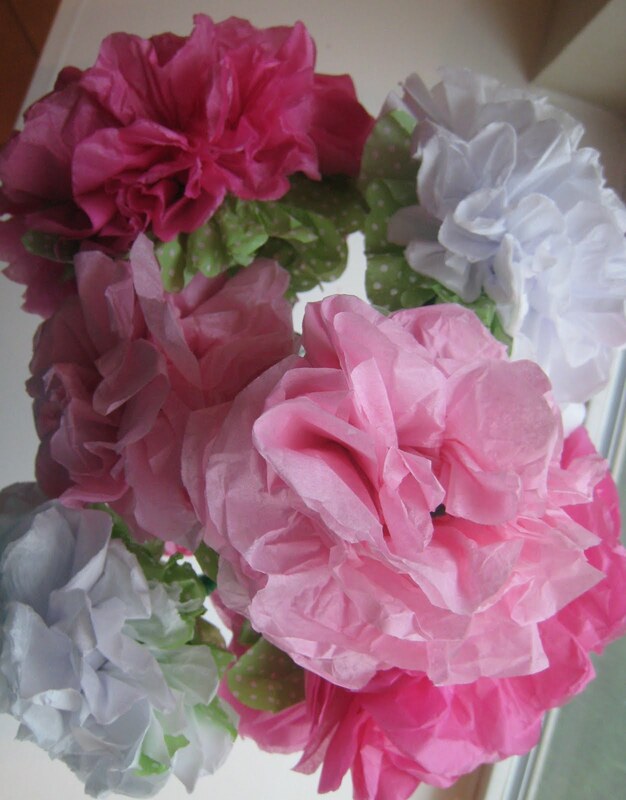 We went that bit further with regards to the corridor by turning it into a garden with huge flowers (inspiration from Dr Seuss) so when the children came back from their Easter Holidays. I think it helped that the machine had sound effects, keyboards and a microphone. 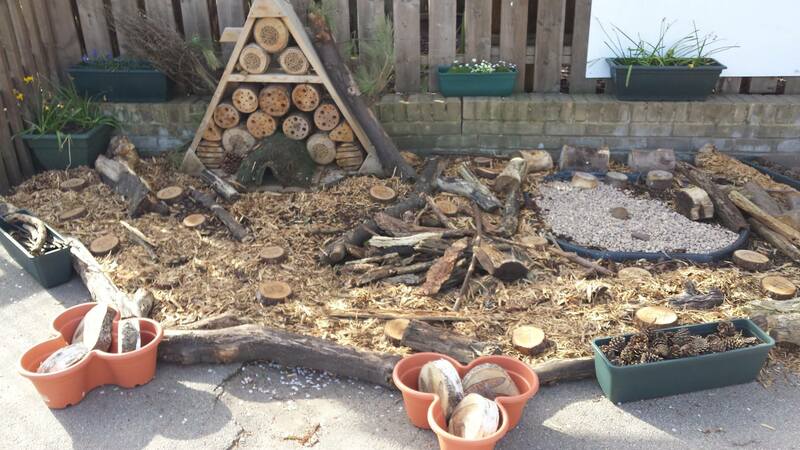 By adding magnify glasses, binoculars and clipboards to the daily provision children had the opportunity to extend the explore their learning, that and the minibeast hotel that had been created over the holidays in garden too! 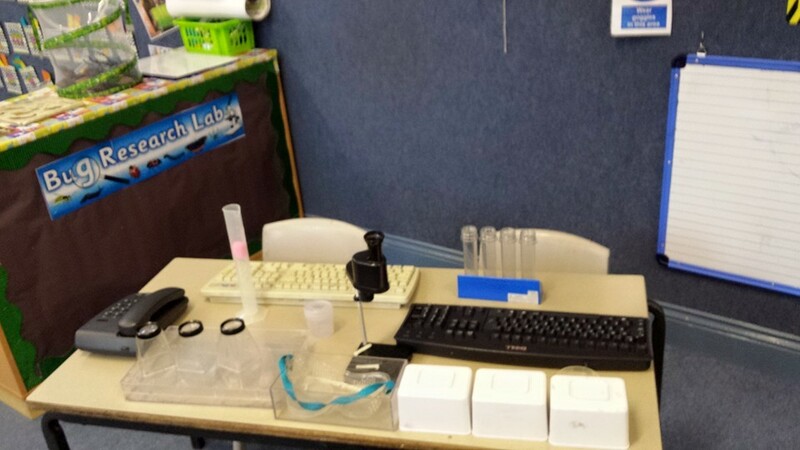 Through careful observation and engagement with the children we were able (with the children) to plan an exciting topic that carried on throughout the term and allowed us to follow the childrens interests, the learning experiences that were created from a simple idea encouraged the children to be active and involved in their learning. Lets just say I am not adverse to the minibeast topic next time it comes around, maybe just the snails that escape and find their way to my desk 🙂 !